Businesses that want to succeed in the digital age need to develop a strong online presence and dynamic digital marketing strategies. This rule applies to many industries, including accounting. Thirteen years ago, many accountants and accounting firms didn’t have websites, many popular social media sites didn’t exist, and the idea of developing a strong online identity to foster client acquisition and retention was still in its infancy. Fast track to 2015, and having an up-to-date website is considered the bare minimum for accountants who want to harness inbound marketing to capture, nurture, and convert leads, as well as grow their businesses. Technology is developing at break neck speed, with digital channels diversifying to a bewildering degree. Increasingly, potential clients are calling the shots — if they’re looking for a new accountant or accounting firm, they’re likely to search online for prospects (via organic and paid searches, online directories and review sites, as well as social media sites, just to name a few). Whether it’s acquiring assistance for financial concerns; dealing with government paperwork; or acquiring professional expertise for business loan applicants and overdrafts, potential clients are more likely to do their own research online than browse the physical yellow pages or ask others for recommendations. Potential clients will read blog posts to learn more about you and the services that you offer. They’ll peruse reviews about you or your firm on social media or review sites. Additionally, they’ll choose when and how to contact your firm (should you be fortunate enough to be shortlisted). Should they choose to contact you, they have numerous touch points to consider: they could email, call, chat, or fill an inquiry form. Despite the growth in digital channels and data points, as well as changing consumer behaviour, recent studies have shown that many accountants and accounting firms aren’t monitoring the effectiveness of their marketing activities, with many failing to invest strategically in their digital marketing. A study sponsored by Thomson Reuters and the Association for Accounting Marketing makes it pretty clear that many accountants and CPA firms aren’t taking full advantage of the benefits being offered by inbound marketing and the explosion of digital channels. 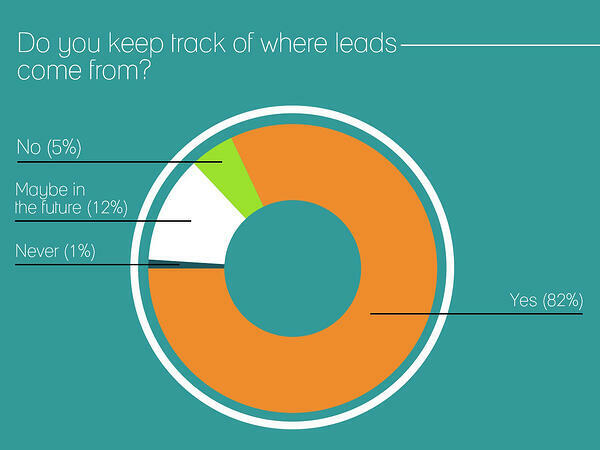 Surprisingly, 63% of surveyed CPA firms stated that their websites are the least effective of their tactics for lead generation. 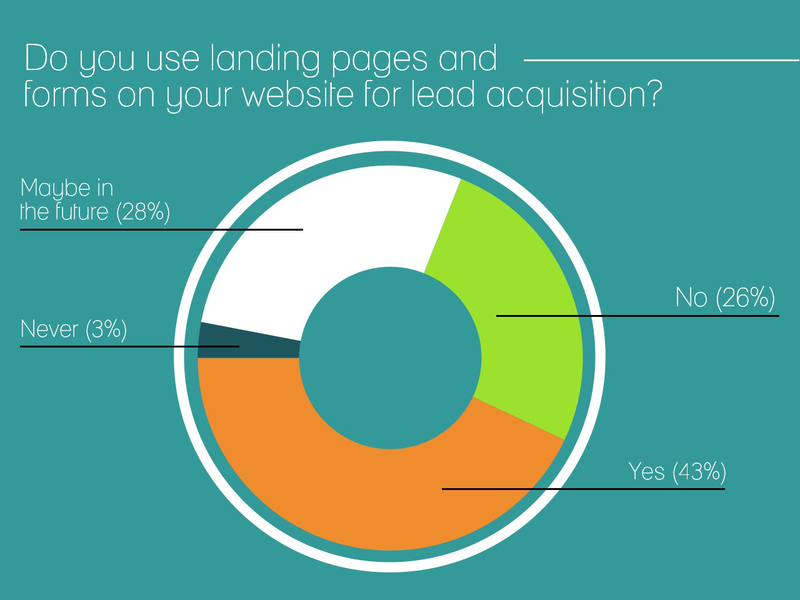 As a result, an astonishing 60% of surveyed CPA firms don’t possess the tools or technology to convert website visitors into leads. Even though millions of potential clients own smartphones and tablets, and regularly browse the Internet using these devices, many British accounting firms haven’t updated their websites in over two years. Websites that aren’t mobile responsive are less likely to download quickly and correctly on the web browsers of users. Such websites will experience high bounce rates and poor user engagement. The study sponsored by Thomson Reuters and the Association for Accounting Marketing also made it clear that many CPA firms aren’t using lead generation tools and technologies, and many lack dedicated strategies and tactics for lead generation. This is surprising because in many cases, neither budget nor partner resistance are stumbling blocks to marketing technology acquisition. The same study revealed that only 13% of surveyed CPA firms are automating their marketing processes. One common means of automating marketing processes to facilitate lead nurturing and conversions is via automated marketing software. Once the first touch is made by a prospect, they are automatically sent a series of emails at periodic intervals. This ultimately leads to a request for a sales meeting. Other marketing automation products will automatically push notifications of new blog posts to social media sites, along with links back to the blog, or send emails to the right prospects at the right time. While using marketing analytics to analyse ROI is a standard practice in many industries(such as life science marketing and manufacturing), measuring marketing results isn’t widely practiced in the accounting industry. Accountants and CPA firms that want to succeed in inbound marketing need to reassess their marketing goals, and align their strategies and tactics with current best practices for inbound methodologies. Constantly assess and improve your business website – Despite the explosion of digital channels, your business website remains integral to your online presence. Remember that a great business website will convey your brand’s identity and strengths, convert visitors into individuals who will be ready to take action,and instigate reoccurring visits. Above all, a great business website is mobile responsive. Utilise search engine marketing – Need to drive more targeted traffic to your business website? Search engine marketing can make it happen! Search engine optimisation (SEO), paid search advertising, or a combination of both specialities can boost traffic to your business website. Understand email marketing and use it wisely – As email marketing outperforms other types of online marketing, you need to go beyond the newsletter and conduct email marketing effectively. Create, share and promote high-quality content. You’ll need to create high-quality content if you want to boost your online presence, as well as capture, nurture, and convert your leads. If you can’t do this internally, you’ll need to outsource your content marketing. Moreover, you’ll need to share your content using the most effective content curation tools, and promote it using the most effective channels. If you want to capture more leads, nurture them, and convert them into loyal clients, you’ll need to invest strategically into your inbound marketing campaigns! You’ve seen the results of the aforementioned studies and surveys: many of your competitors aren’t investing strategically into their digital marketing campaigns. Many haven’t updated their websites in two to five years, invested in lead generation tools and technologies, or automated their marketing processes. Many of your competitors don’t even measure the success of their lead generation campaigns. You can take advantage of their inertia and lack of foresight by partnering with a professional digital marketing agency that has a proven track record of success and years of experience. In other words, hire us and we’ll re-strategise your digital marketing campaigns. Our services and years of experience managing digital marketing campaigns for accountants and CPA firms will help you race past your competitors;build a stronger online presence; as well as capture, nurture, and convert more leads into loyal clients. We’ll set up and manage a professional accounting firm website for you, complete with appealing design and copy that precisely targets your visitors for effective lead nurturing and conversion. We’ll display client testimonials, case studies, and industry reports on your website to educate your leads and drive them further down the sales funnel. We’ll also ensure that your website is responsive to all devices to reduce bounce rates and increase user engagement. Other services we offer include search engine optimisation (SEO), social media optimisation, and content marketing. We’ll ensure that you’re present in local online directories, whether it’s in single or multiple locations, as well as review sites. These and other digital marketing services will drive more qualified traffic to your website, as well as improve your online visibility and reputation. By hiring us as your professional digital marketing agency, we’ll take care of all your digital marketing concerns — which gives you the freedom to focus on providing excellent accounting services to your clients. Contact our professional inbound marketing agency today, and get a FREE consultation on how to strategically invest in your digital marketing. Your expertise is a very powerful asset – let it shine online. We can help you leverage your resources to dominate your competition. Send us an email now at info@whitehat-seo.co.uk or call us at (+44) 020 8834 4795 and grow your bottom line through our online marketing expertise today.